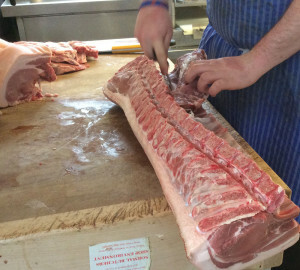 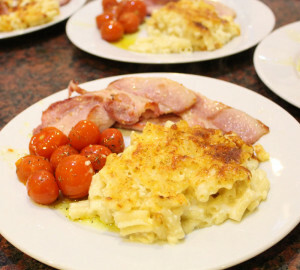 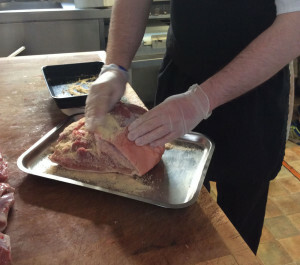 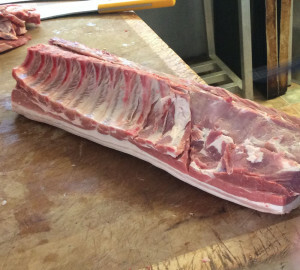 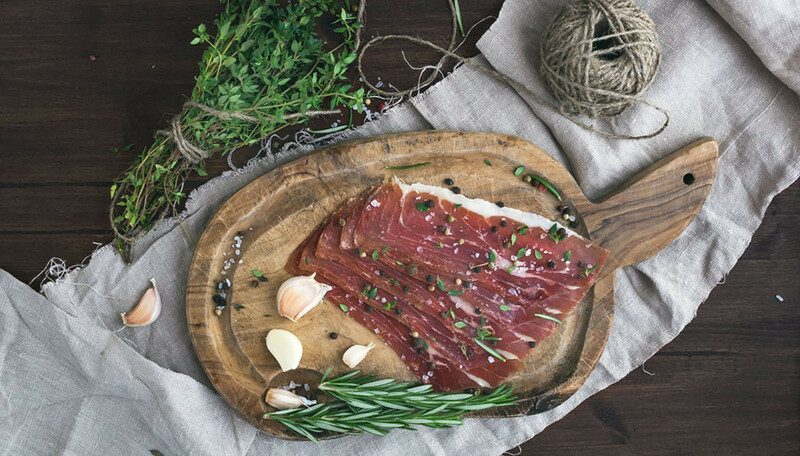 Starting with one of our fantastic locally produced Pork Loins we begin by boning the meat, we then combine the perfect amount of salt and sugar to give just the right flavour and rub the cure thoroughly into the pork. 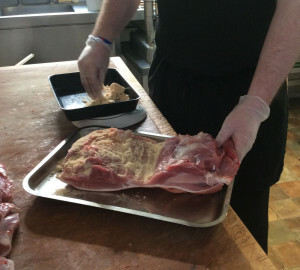 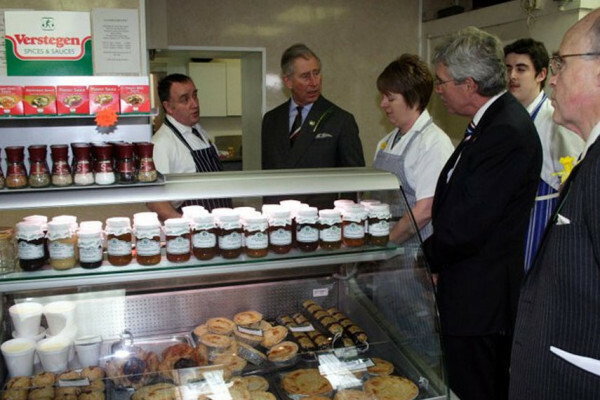 The pork is then put into sealable bags, along with the left over cure, and placed at the bottom of the fridge. 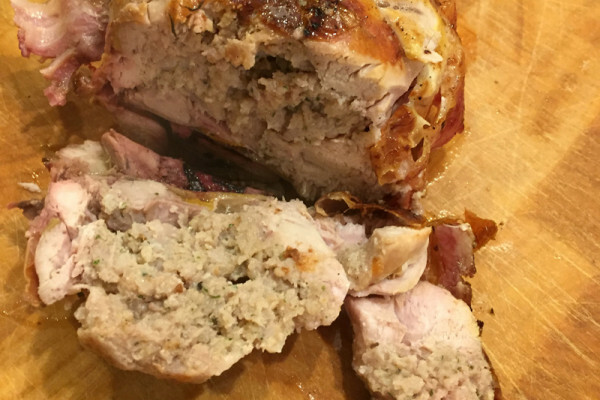 After a week of turning every day it’s almost ready to eat. 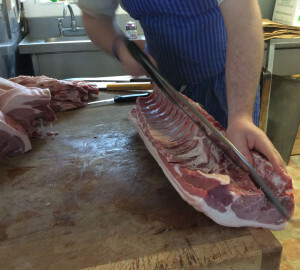 Taking the pork out we rinse it in cold water and pat dry,the final step is slicing ready for you to take home and enjoy.